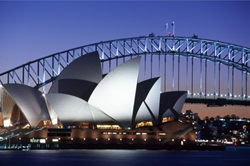 Modality Systems, specialists in Microsoft Lync and Unified Communications, has announced it is opening an office in Sydney, Australia in July of this year. Expanding our activities into APAC is the next logical step with the goal of further developing the operations in the region to mirror the established activities in North America and EMEA. The global expansion for Modality Systems is part of the continued growth of its global operations and part of a strategic plan to strengthen its activities in the APAC region. Justin Morris who is currently a Senior Consultant within the EMEA operations will return to his native homeland to head up the expansion as Managing Consultant of Modality Systems Pty Ltd.
Justin, who is a Microsoft Most Valuable Professional (MVP) for Lync as well as a well-respected and recognized figure within the UC market, has a wealth of technical and customer experience and has been instrumental in the growth of the Modality business over the last 5 years. He deployed the largest Lync voice project in the UK in 2012/2013 and has since been involved in a number of high profile consulting projects. He is also a regular speaker at industry events such as TechEd North America and Lync Conference, as well as the Co-Founder of Microsoft Unified Communication User Group London (MUCUGL) and a contributor to the UC Architects Podcast. Modality offers a range of end-to-end services from strategic consultancy and design, to deployment, end-user adoption and customized applications. Our consultants are some of the highest qualified in the Lync world, authoring leading Lync publications and carrying out Lync consultancy projects on behalf of Microsoft. Modality is consistently among the top Microsoft Lync partners in terms of number of seats delivered and have twice been awarded the Microsoft UK Unified Communications Partner of the Year Award.